The sun is actually shining here in Cambridge, and with it, summer-themed Raspberry Pi projects are sprouting like mushrooms across our UK-based community (even though mushrooms don’t like hot weather…). So we thought we’d gather some of our favourite Pi-powered projects perfect for the sun-drenched outdoors. With the sun out in all its glory, we’re spending far more time outside than is usual for UK summer. 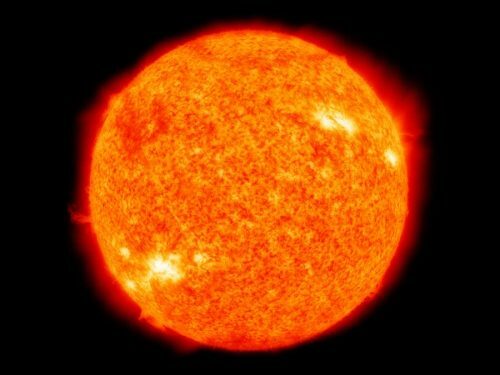 To protect yourself and your adventurous loved ones, you might want to build a Raspberry Pi device to monitor solar radiation. To measure more health-related environmental conditions, you could build this air quality monitor and keep an eye on local pollution. Data is collected by the particulates sensor and is combined with readings of temperature, humidity, and air pressure. This data is then transferred to the cloud, where it is visualised on a dashboard. 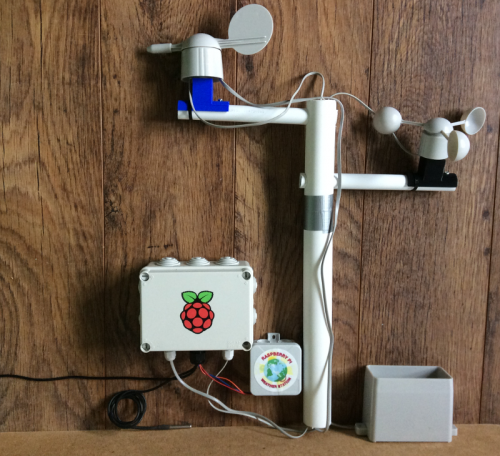 If you’ve been building your own hackable weather station using our free guide, these are also great add-ons to integrate into that project. While we’re spending our days out in the sun, we need to ensure that our pets and plants are still getting all the attention they need. 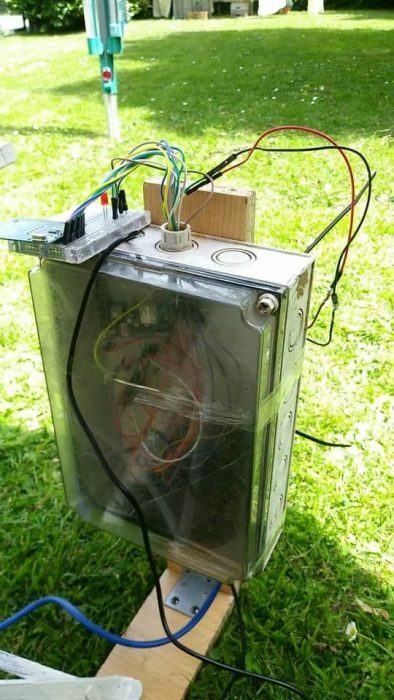 This automatic chicken feeder by Instructables user Bertil Vandekerkhove uses a Raspberry Pi to remotely control the release of chicken feed. No more rushing to get home to feed your feathered friends! And while we’re automating our homes, let us not forget the plants! iPlanty is an automated plant-watering system that will ensure your favourite plant babies get all the moisture they need while you’re away from your home or office. If, like me, you live in constant fear that your beloved bike may be stolen, this electromagnetic bike shed lock is the solution you need. The lock system allows for only one user per lock at any one time, meaning that your bike needs to be removed before anyone else can use their RFID card to access the shed. With so much sunlight available, now is the perfect time to build a time-lapse camera for your garden or local beauty spot. Alex D’s Zero W time-lapse HAT allows for some glorious cinematic sliding that’s really impressed us. If you don’t think you can match Alex’s PCB milling skills, you can combine our free Raspberry Pi timelapse resource and Adafruit’s motorised camera slider for a similar project! …and then lock them outside, and enjoy a Pimms and a sit-down in peace. We’re here for you, suffering summer holiday parents. We understand. 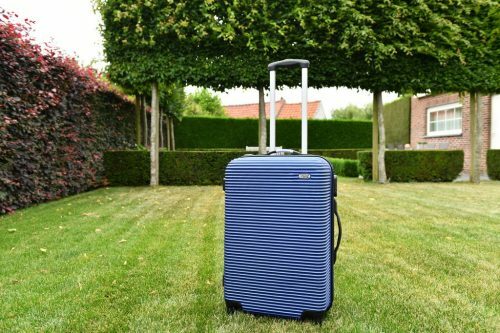 “We’re all going on a summer holiday”, and pj_dc’s smart suitcase will not only help you track of your case’s location, it’ll also weigh your baggage. 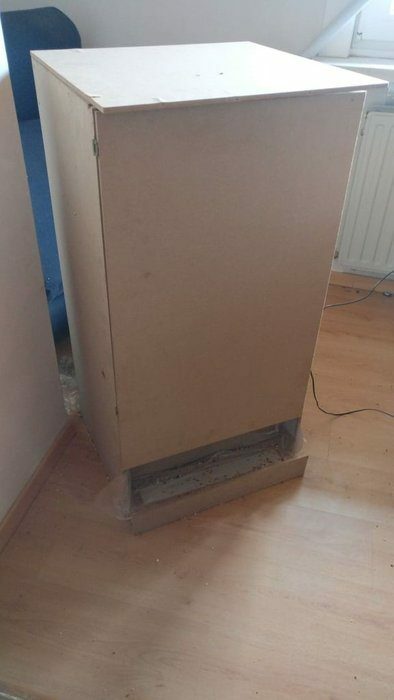 Four 50kg load cells built into the base of the case allow for weight measurement of its contents, while a GPS breakout board and antenna let you track where it is. While they’re not all summer-themed, our free Raspberry Pi, Code Club, and CoderDojo resources will keep you and your family occupied over the summer months whenever you’ve had a little too much of the great outdoors. From simple Scratch projects through to Python and digital making builds, we’ve got something for makers of all levels and tastes! If you’re new to Raspberry Pi, begin with our Getting started guide. And if you’re looking for even more projects to try, our online community shares a sea of tutorials on Twitter every week. 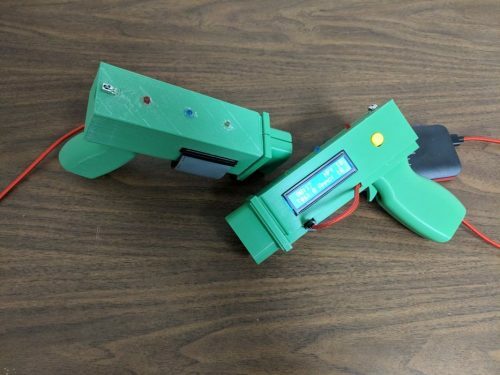 The post Eight(ish) Raspberry Pi projects for the summer appeared first on Raspberry Pi. 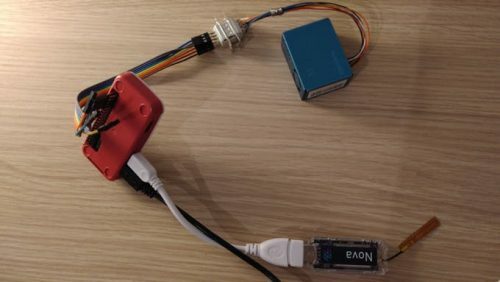 This entry was posted in Raspberry Pi, Uncategorized and tagged IFTTT, Raspberry Pi on July 17, 2018 by David.